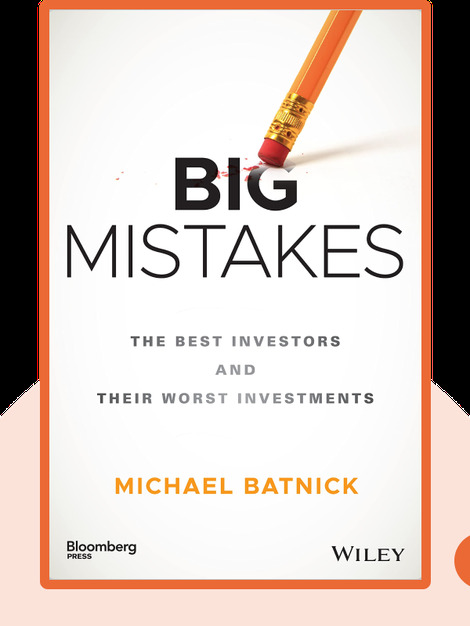 In Big Mistakes (2018), Michael Batnick runs through some of the world’s best-known investors and their high-profile slipups. More than just a catalog of blunders, this book also explains what each error can teach us about managing our own portfolios. Michael Batnick is the Director of Research at Ritholtz Wealth Management. He also writes the popular blog, The Irrelevant Investor, and coproduces the podcast Animal Spirits. 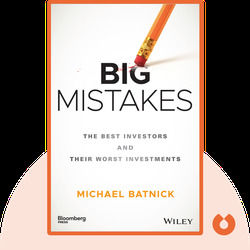 © Michael Batnick: Big Mistakes copyright 2018, John Wiley & Sons Inc. Used by permission of John Wiley & Sons Inc. and shall not be made available to any unauthorized third parties.